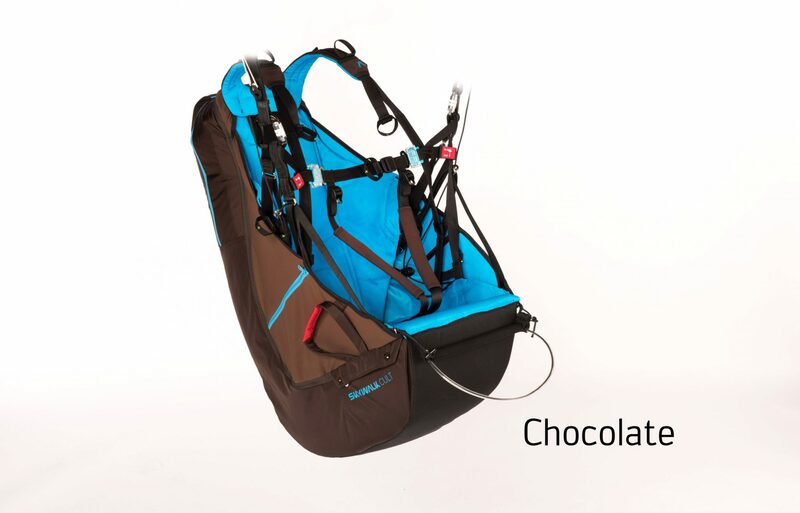 Last week the first deliveries of our new crossover harness CULT4 in size M (Navy and Chocolate) went out. Make sure to get the new benchmark in comfort & safety! To create something new, sometimes you have to forge a new path. While developing our new all-round harness, we dealt extensively with kinematics, ergonomics, product design, and studied movements in various sports. The result is a harness that sets new standards in comfort, safety, and usability thanks to its clean and straightforward design. In order to ensure that pilots get long-term enjoyment from their CULT, only high-quality and robust materials have been used. The new CULT is also lightweight, coming in at just under 4 kilos. The CULT is aimed at beginners, novices, and all pilots who like to feel the force of the wind while flying. The basis for the exceptionally-high flight comfort is a new force distribution frame, which ensures ideal pressure distribution and support. CULT pilots feel comfortable right away, and can control their paragliders intuitively — and therefore safely. 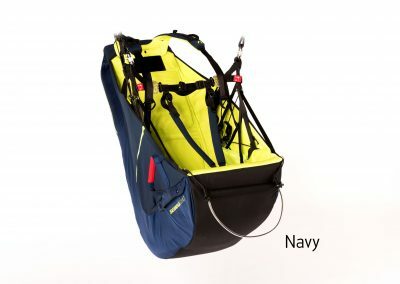 For the first time on a paraglider harness, the shoulder straps can be individually adjusted to suit the back length of the pilot. This makes the CULT fit like a tailor-made backpack. Similar to the chassis of a modern sports car, the CULT pilot can adjust the cushioning of his seat « at the touch of a button » to fit his personal preferences and the prevailing conditions. The loops marked with « + » and « – » on the adjustable back, shoulder, chest, and leg straps can be used to make adjustments just before starting and at any time during flight. 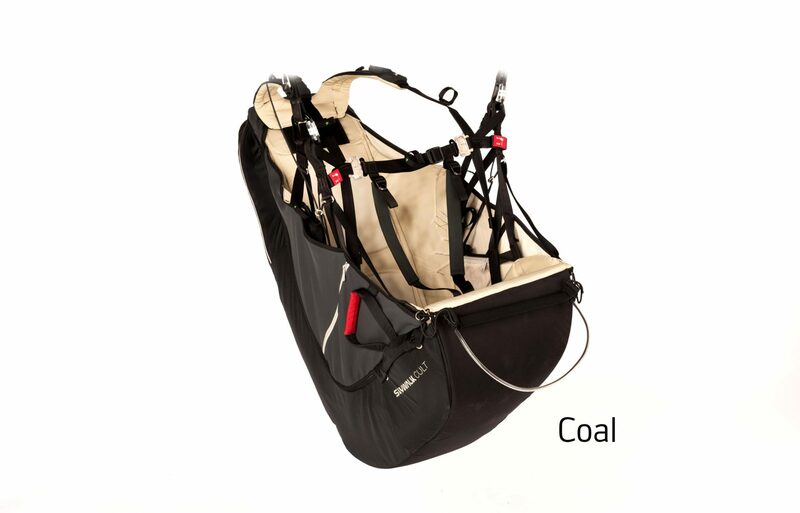 If the air begins to swirl around mid-day, then a pull on the « + » side is enough to stabilize the harness. The « – » setting is useful for dynamic soaring and high wingovers. Maximum passive safety is provided via a mousse bag protector under the seat, a high-comfort foam pad at the back, and two perfectly-positioned side protectors. For a big boost in active and passive safety, there are also many other small, well-thought-out innovations which are used by us for the first time ever in a paragliding harness. RECCO radar technology, for example, comes from mountain sports. These passive sensors — which weigh only four grams — increase the chances of being found quickly by professional search teams in the event of an accident. During air-rescue operations, rescue teams often do not know how and where to connect a line to the injured pilot. 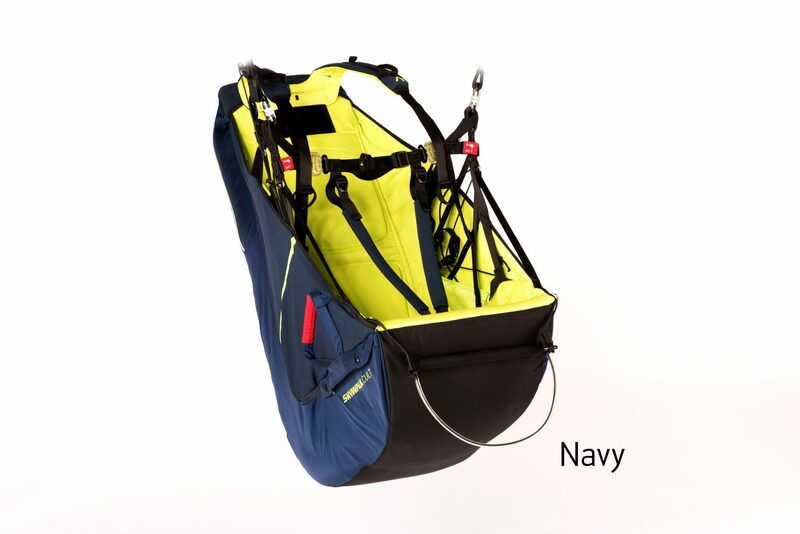 For this reason, skywalk has worked with the Bergwacht — the German Mountain Rescue Service — to develop the SAR loop. The optimally-positioned and well-marked SAR loop gives rescuers easy-to-find point for attaching a cable winch or carabiner. One other small but important detail is the incorporation of our Safety Sliders — easy-to-use plastic caps that prevent the unwanted opening of the buckles.